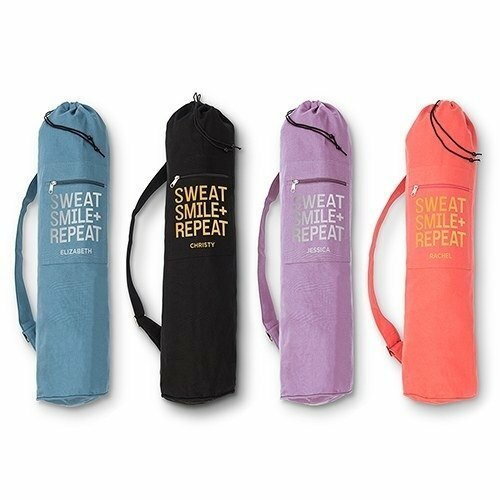 A handy yoga mat bag is a yoga enthusiasts best friend. 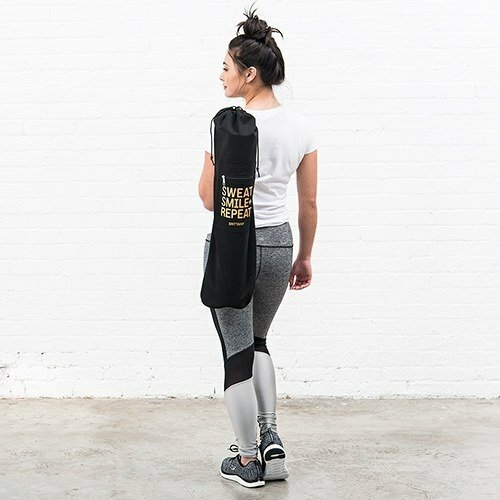 Made of soft 100% cotton, this high-quality yoga mat tote bag features an adjustable shoulder strap for easy carrying and a simple drawstring closure on the top. A hidden interior zipper pocket and a large exterior zipper pocket are essential for stashing keys, cash, ID card, lip balm and your phone. 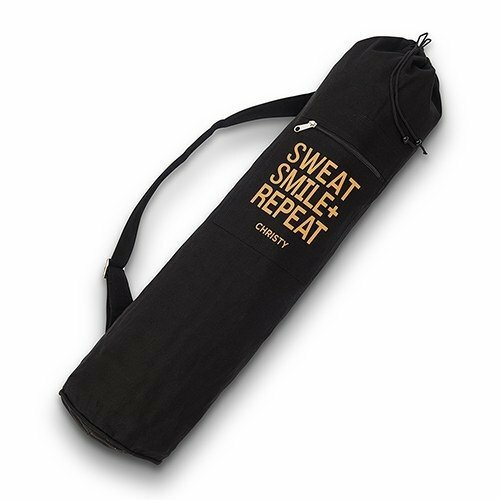 Available in watermelon pink, soft lavender, oasis blue and basic black along with the mantra Sweat Smile Repeat and your own personalization, you can easily customize this yoga mat bag to suit your sweatin' style.